Dillenia Homestay to Universiti Teknologi Malaysia, Skudai or UTM is just 19 minutes drive . 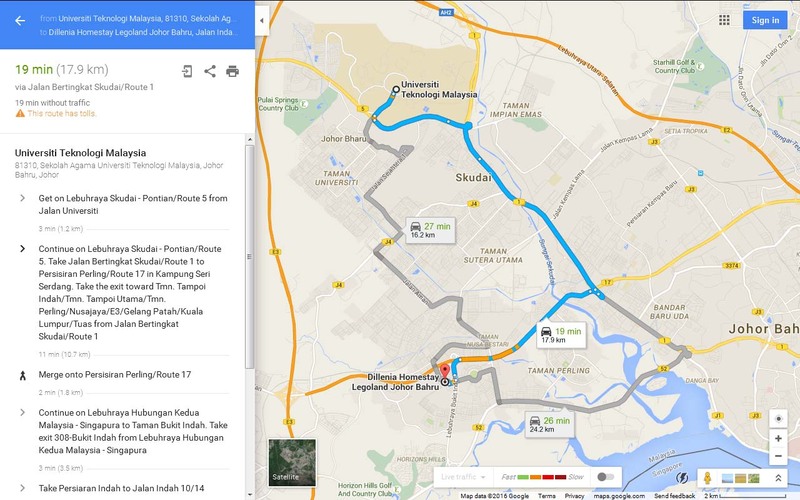 Another advantage of staying here is we are just 5-7 minutes drive to Legoland Malaysia ( no congestion ). The UTM Convocation ( Konvokesyen Universiti Teknologi Malaysia April 2016 ) is just around the corner. So, for those of you going to attend the ceremony whilst looking for accommodation nearby Legoland Malaysia, Dillenia Homestay is located nearby and situated within the best township next to Legoland Malaysia : the Bukit Indah township with many facilities and amenities. 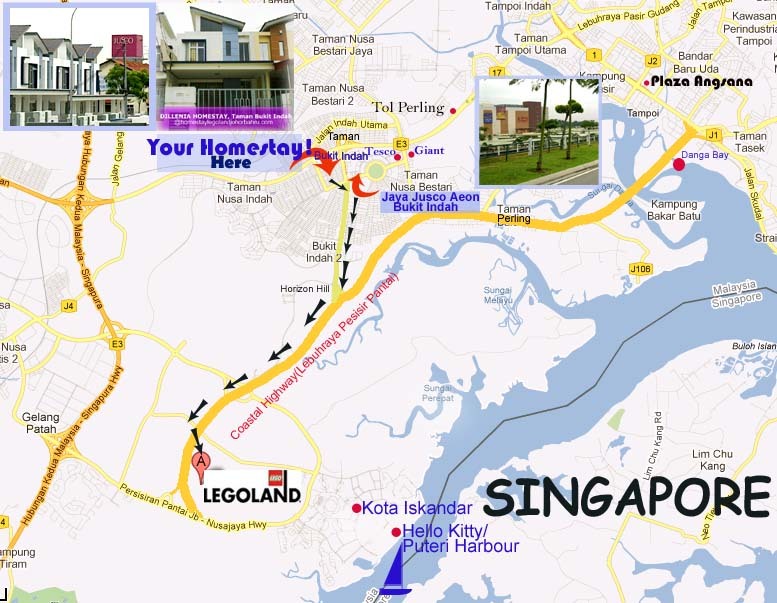 Homestay is nearby Legoland Malaysia, 5 to 7 minutes drive . You will find driving to the theme park will be going to be a pleasant drive since there is no traffic congestion. In addition to that, you will find that your homestay accommodation is just 350m to AEON Bukit Indah Mall, the biggest and longest shopping complex next to Legoland Malaysia, Kota Iskandar and Puteri Harbour. So , if you are looking homestay or guest house near to Legoland Malaysia whilst going to attend the UTM Konvokesyen at Universiti Teknologi Malaysia, Skudai this April together with your family, choose Dillenia Homestay . Please call & sms 019-7801160 or Whatsapp 011-32234058 for more enquiries regarding reservation for the homestay accommodation. How to go to Dillenia Homestay near Legoland Malaysia From Changi Airport?